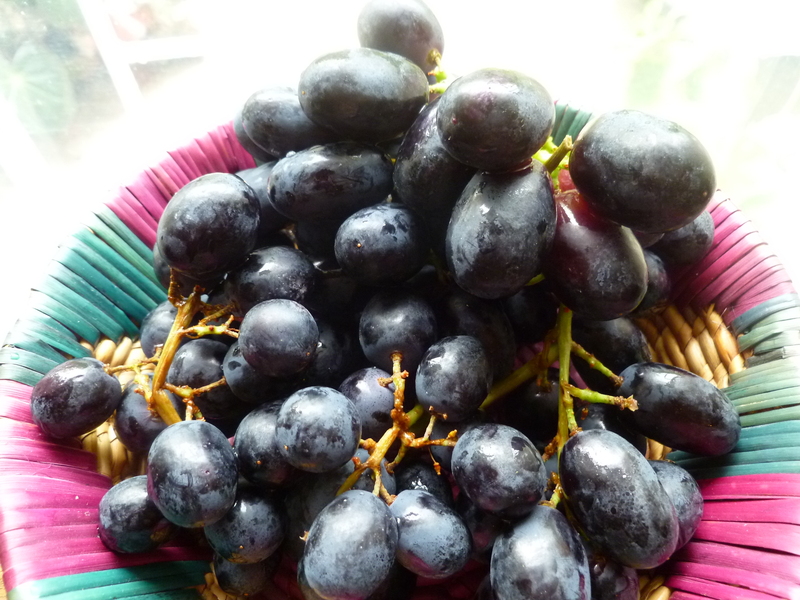 The fact that one has never pickled, canned or bottled anything should not make one think twice about pickling a grape. There is practically nothing to it. 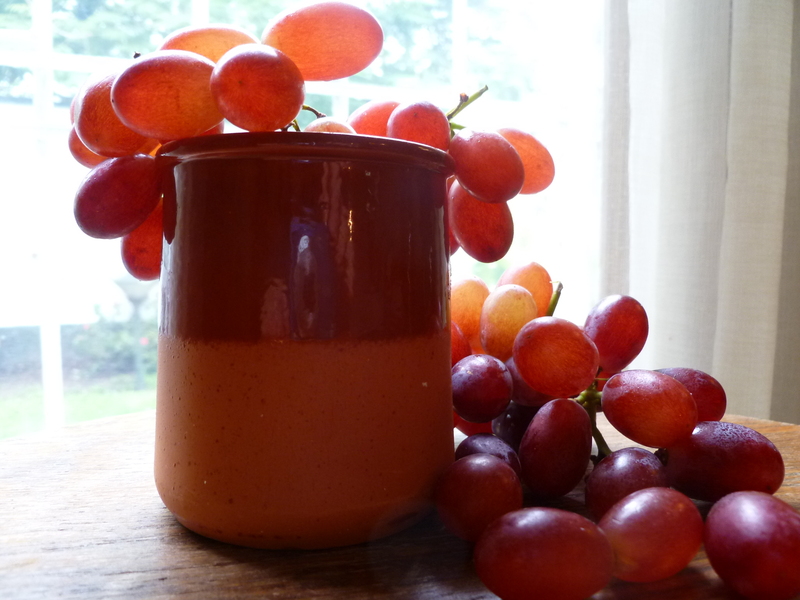 If you have a couple of jars with lids, a few minutes–and the grapes–a child who knows her way around a hot stove can do it. 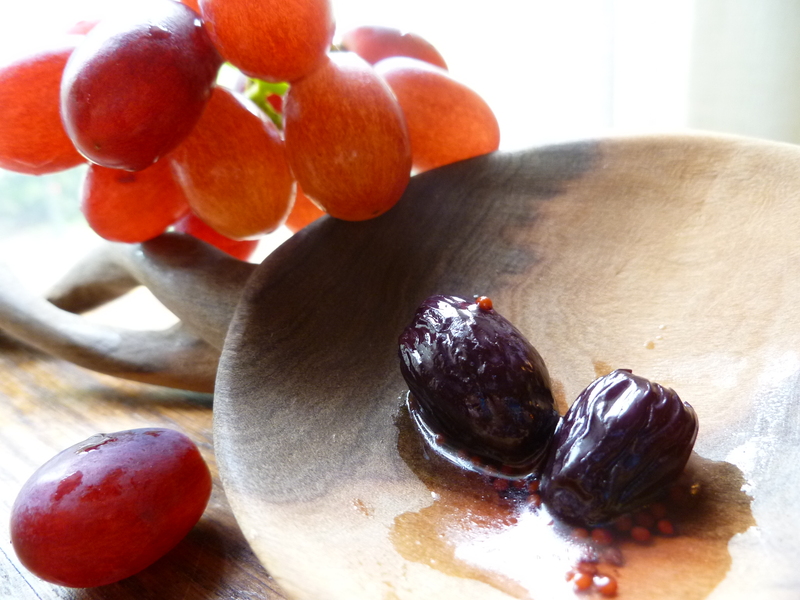 A small bowl of pickled grapes and another of cornichons are a well-matched pair with an aperitif. 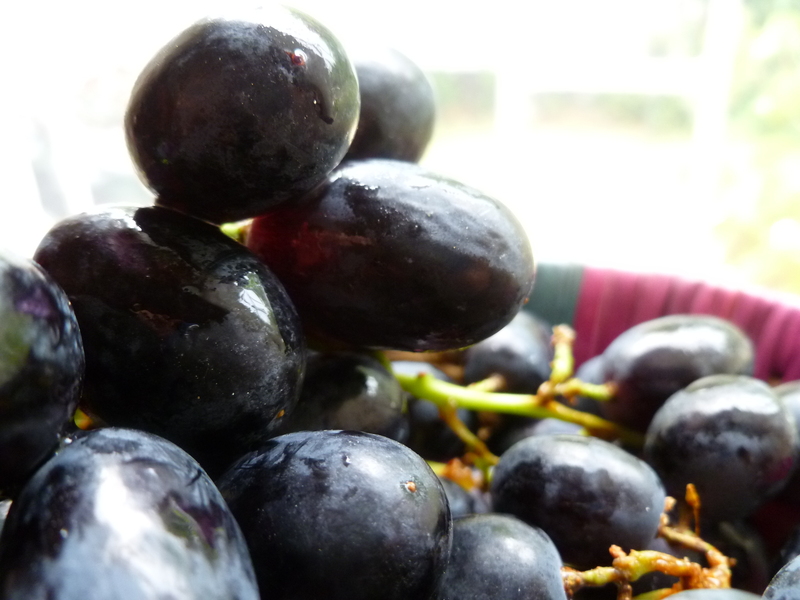 The grapes are sweet with a shade of sour and the cornichons–the reverse. 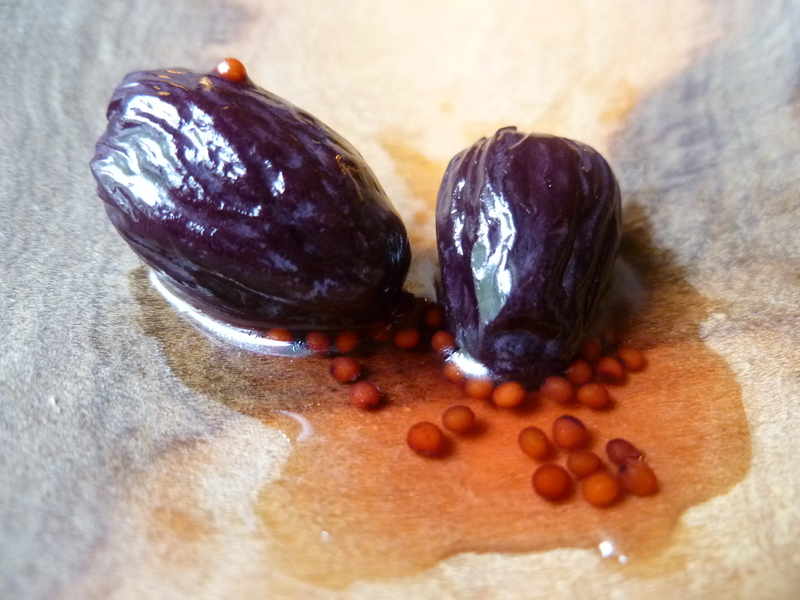 Aperitifs are anticipatory and whatever goes with them should be too. Otherwise, the good things that follow lose their edge. 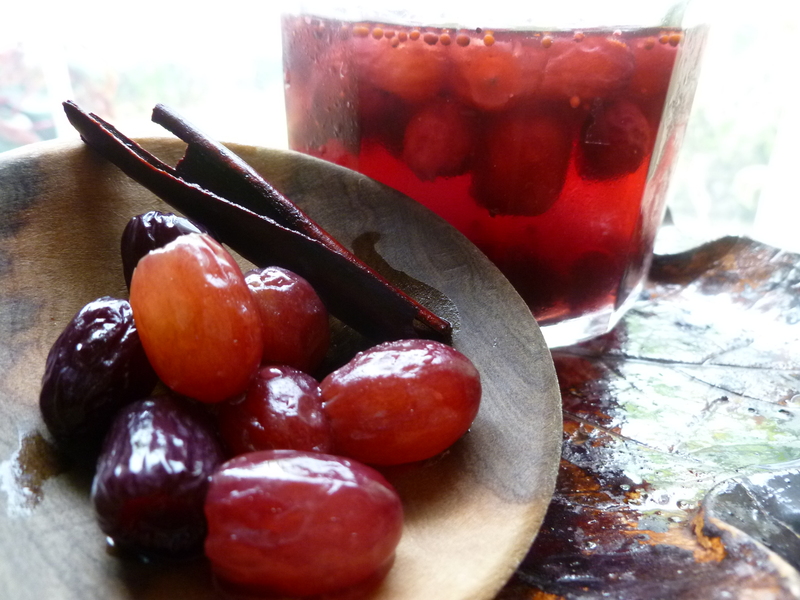 Pickled grapes will put an edge on an appetite without dampening it. 2. 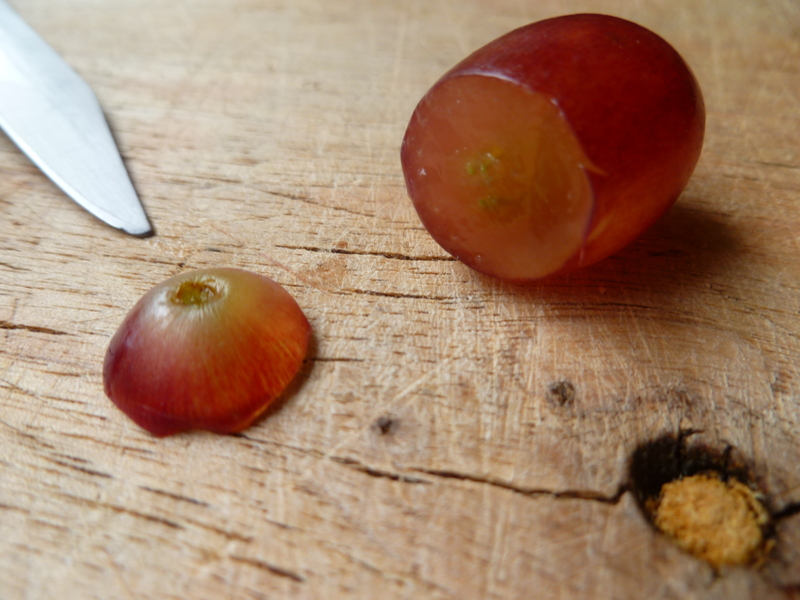 Divide the grapes between the jars. 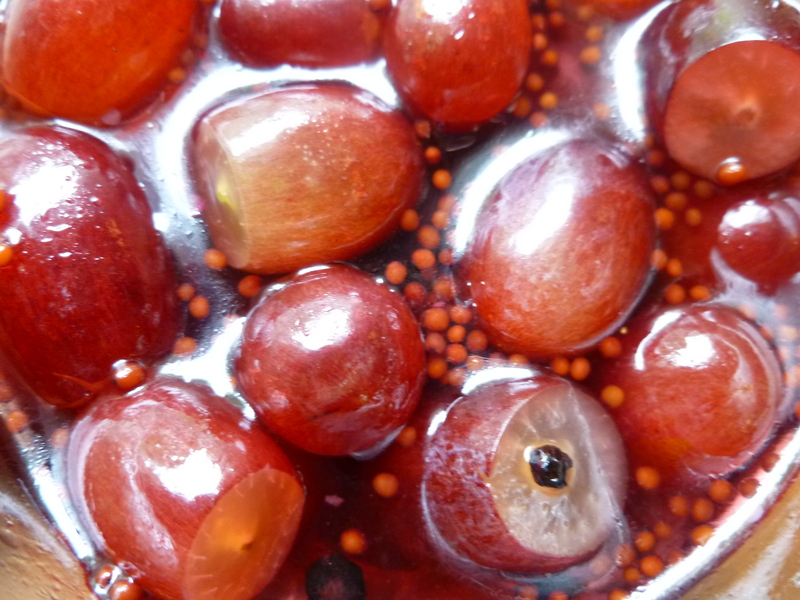 Both red and black grapes pickle well and will last many months stored in the refrigerator…. 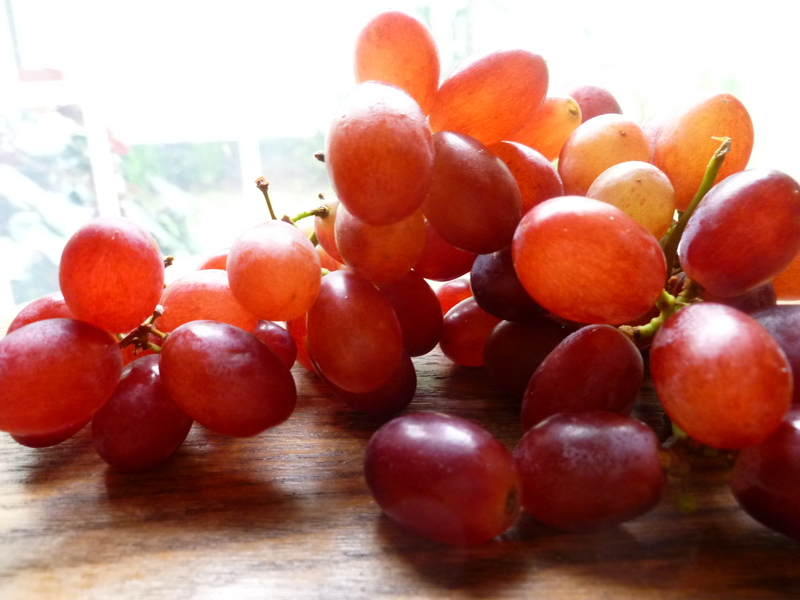 Because the grapes are there…. is reason sufficient for pickling them. 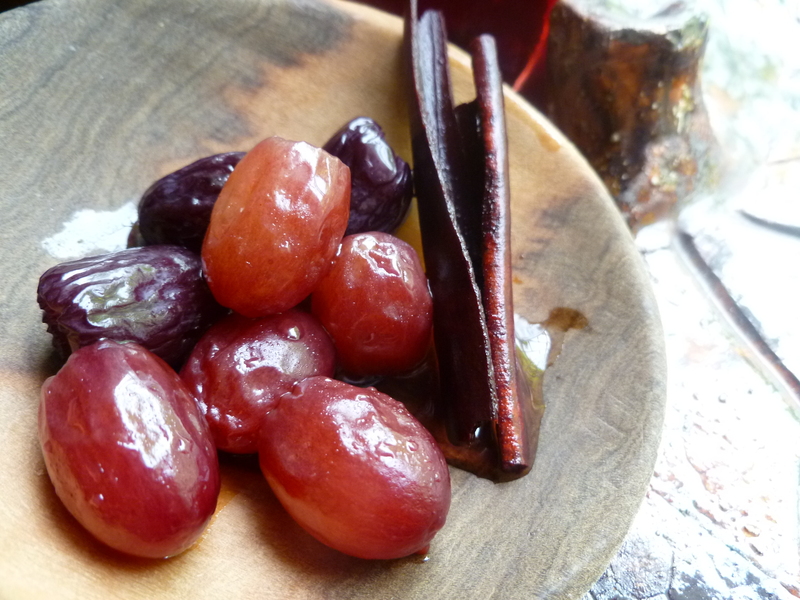 A Note: Pickled Black and Red Grapes are served with Aperitifs in the Lunch Menu: Simply Delicious Combinations. The recipe is an adaptation of one by Susan Kaplan, the original owner of The Boat Street Cafe in Seattle. What kind of salt do you use? Pickling salt or kosher salt?